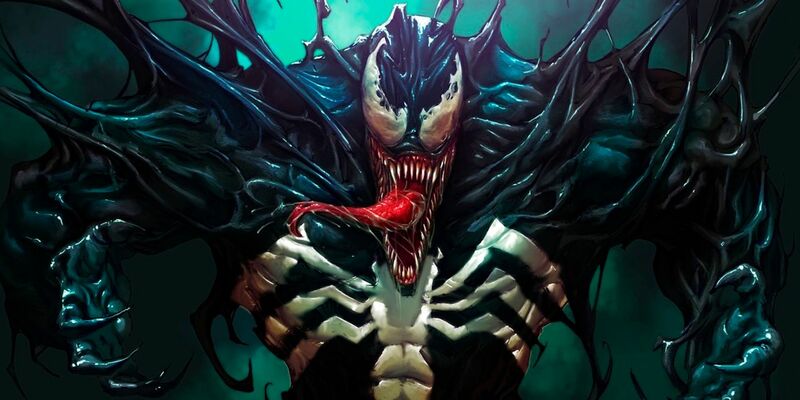 Ahead of Sony’s Venom movie hitting theaters, and hopefully kicking off their Spider-Villain Universe, Todd McFarlane has looked back at what led to the creation of the now-iconic character. Venom debuted in 1988, on the pages of The Amazing Spider-Man #300. The Venom symbiote has had many hosts over the years, but Eddie Brock has always been the most popular and enduring of them all. Originally conceived as a new nemesis for Spider-Man, Eddie Brock/Venom was eventually spun-off into his own series and evolved into more of an antihero. One such series, Lethal Protector, will serve as a major inspiration for the upcoming film, which also stars Riz Ahmed as Carlton Drake/Riot and Michelle Williams as Anne Weying. Though anticipation for the film was originally lukewarm at best, more recent trailers have won people over. Even Topher Grace, who was the first to bring the character to the big screen in Sam Raimi’s ill-received Spider-Man 3, has high hopes for Tom Hardy’s iteration. There’s still no word on whether the film will indeed be R-rated, as fans hope, but director Ruben Fleischer (Zombieland), right down to the dialogue, is definitely offering a more traditional, comic-book accurate version of the character. Albeit without the canonical backstory and, potentially, some alterations to his abilities. Clearly, Venom is as much on his mind as it is on fans. It could be argued that he himself wishes he was helming the adaptation of his own co-creation. Fans would no doubt have rejoiced. And it wouldn’t be the first time. He is currently adapting for Blumhouse another of his comic creations, Spawn – a property he would love to see in a crossover with Venom. He also just recently posted a video editing the film’s design of the character to be more akin to how he envisions it. On the other hand, what he will ultimately make of the film as a whole remains to be seen, though McFarlane has been quite vocal in praising what he has seen thus far. Also, given that it was 30 years ago this year that he and David Michelinie devised the character, he’s more likely experiencing a combined bout of nostalgia and excitement that fans can no doubt relate to.